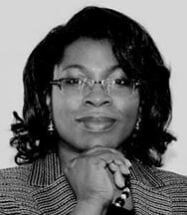 Barbara R. Evans is a trial lawyer whose practice spans across Personal Injury, Family, Criminal, Employment and Business Law. Having personally experienced the impacts of a divorce, Ms. Evans has effectively resolved family law matters including divorces, custody, child support, modifications and legitimations for numerous clients. In addition, she has successfully recovered damages on behalf of personal injury victims in automobile accidents, dog bites, food poisonings and slip and falls. Ms. Evans prides herself in delivering services with zeal, integrity and sound knowledge of the law through research for each of her clients. Ms. Evans graduated with honors from Troy University with a Masters of Science in Management and a minor in Leadership and Organizational Development and graduated with honors from Western Michigan University Cooley Law. During law school she worked with the Washtenaw Public Defenders Office and a local firm as a Law Clerk. Her first position following law school was with the Gwinnett Legal Aid providing pro bono and volunteer services to those in need in the areas of divorce, child support, temporary protective orders, legitimation, name change and bankruptcy.